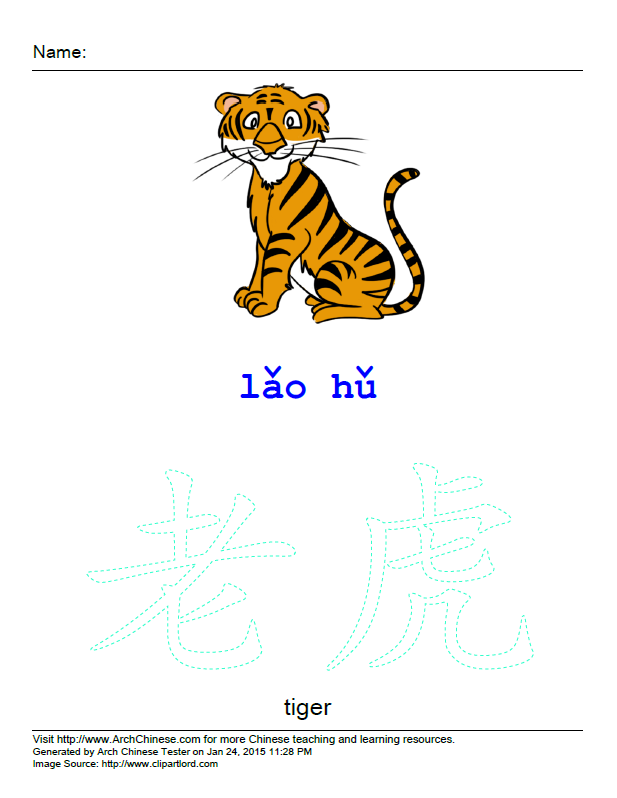 This simple tool allows Chinese language teachers and parents to generate Chinese character and word coloring worksheets for preschool, kindergarten and elementary school children. Coloring Chinese characters can help a child develop the skill of patience, learn to focus on details, and see and recognize Chinese character components and words associated with the images. 1. For Pinyin, tone number notation must be used. Use v for ü and the number 5 for the neutral tone. There is a blank space between two syllables. The system automatically converts the tone numbers to tone marks in the generated coloring worksheets. 2. A Chinese word cannot be more than 4 character long. 3. Click the Load Image button to load the theme image you would like to use. Alternatively, click the Search Image button to search an image from the images uploaded by you or other Chinese teachers. 4. If you use an image that you don’t own the right to, you should give credit to its source. You can enter something like "Image by (name of author, or link to the source)" into the Image Credit box. The credit will be shown on the footer of the generated coloring worksheet. 5. Font size and page orientation will be adjusted automatically. 1. 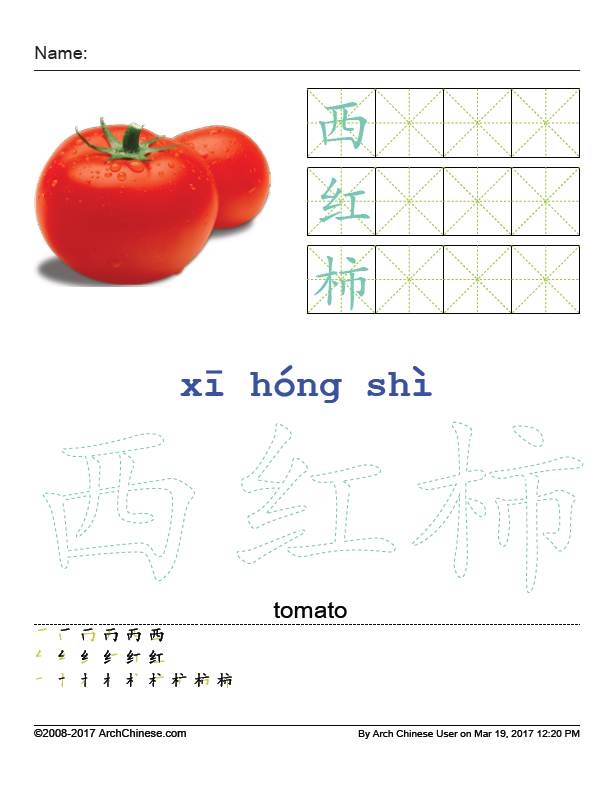 Create writing practice grids and Chinese character stroke sequences.